email me at rawhair@rawhairorganics.com and we will get you class info. Thank You Melanie. This product sounds very interesting! Ive been a stylist for 17 years. This product is a dream come true for stylist. I processed a level 5 box color client who had old highlights underneath. She colored her own hair with box color twice before calling a pro. Used the olaplex in blondor mixed with 40 and foiled. Let the bond perfector stay on 10 mins. Her hair was not damaged, very impressive. Usually I would have told her to go back to blonde in stages to prevent damage. That’s no longer the case with this product! I just had a customer ask me about the Olaplex brand. From the surface it appears to have some anti-oxidizing properties in it. Inasmuch as the integrity of the hair remains in tact. I am no chemist. But, in their video the colorist is going from 20 to 30 volume when lightening which indicates to me that something is slowing down the processing by way of oxygen. I do not know if the product is physically “multiplying more disulfide bonds” or are they protecting what is naturally occurring in hair by either encapsulation technology or a buffer of some sort. It sounds cool. I currently use Scruples by Blazing and Framesi. By no stretch are they organic, but so far everyone’s hair I colored has remained in tact, including our clients with relaxed hair and those who have locs. I have been using Scruples for over 10 years and never has the hair been compromised to the point of breaking, drying out or discoloring. 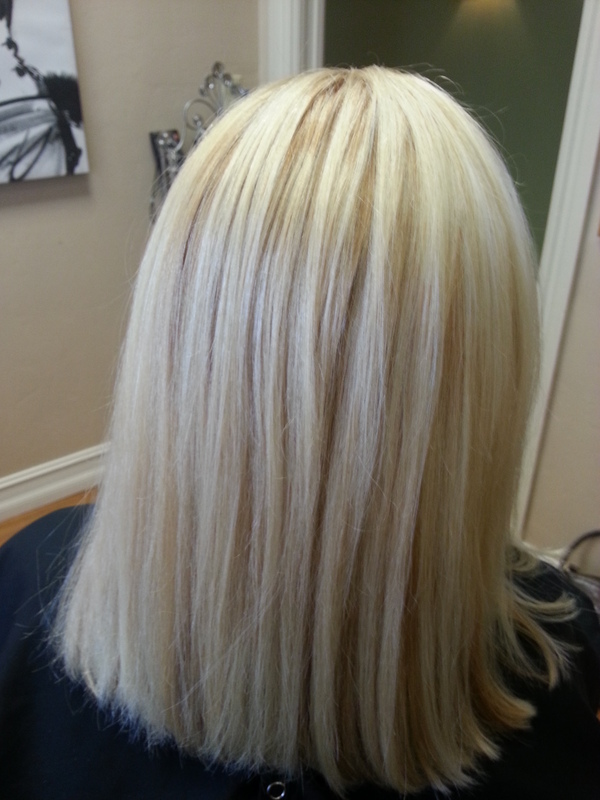 We are strong supporter of incorporating protein in to salon and home care to protect their hair hair and investment. Preferably proteins from wheat, soy or keratin. Whoever the company has handling their Instagram account seemed offended when I suggested this product may have anti-oxidizing qualities to it. Which is a compliment to me. They reiterated how their product is great at “multiplying and replacing disulfide bonds;” I don’t know how unless they are cloning the disulfide bonds. Can you answer that? No, but I think it’s a great product. As I started reading your so called professional application of this product. your 1st mistake is that you pulled your bleach product through to the ends , Olaplex or not you still need youse smart hairdressing basics… I have been a Cosmotologist for 35 years and I love the product. I was “Testing” the product. The idea is to “push it to the limit”. That’s the WHOLE POINT of what I was doing. Please go back and read the entire review and watch the entire video. A Very Happy and Successful 2015 to you! 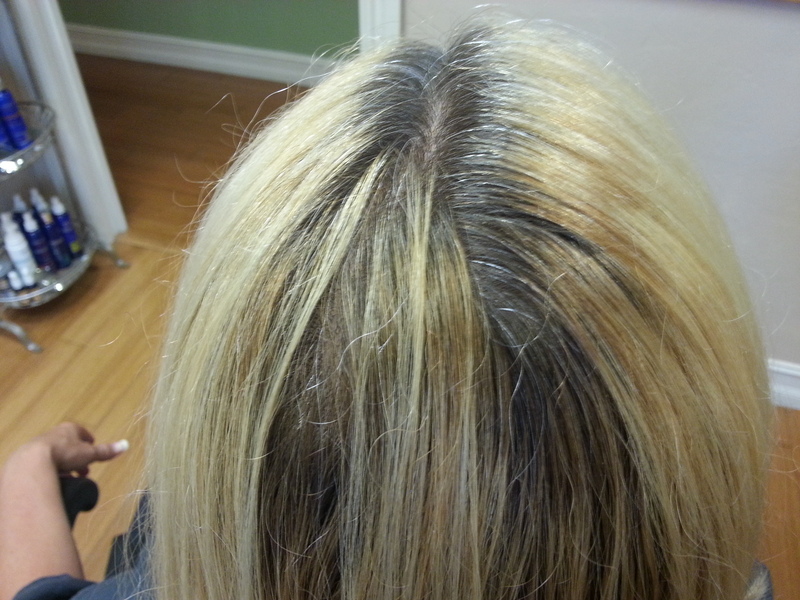 Is Olaplex ONLY to be used for lightening hair? From what I read in your review you used it with bleach to lighten your client’s hair. I have (Indian) black hair- do you think I can use these products Bond Multiplier No. 1 and Bond Perfector No.2 with dark hair dye? Also, having you heard of Madison Reed Hair dye? I am very eager to try it with the Olaplex system. Your review of it will be of great value to me! I think your website is great and value your opinion very much! Thanks for your generosity! All the Best to you in all your investigations! Yes, absolutely it can be used with regular hair color. I have not heard of Madison Reed haircolor. There are several different applications on the Olaplex website. Feel free to look at it. Thanks Melanie for all your hard work! he,y thank you so much for reviewing olaplex, do you know if its available for someone who’s not a salon pro because I tried to buy it off their website but it says its only avaialable for salon professionals. It is supposed to be only available to salon professionals.